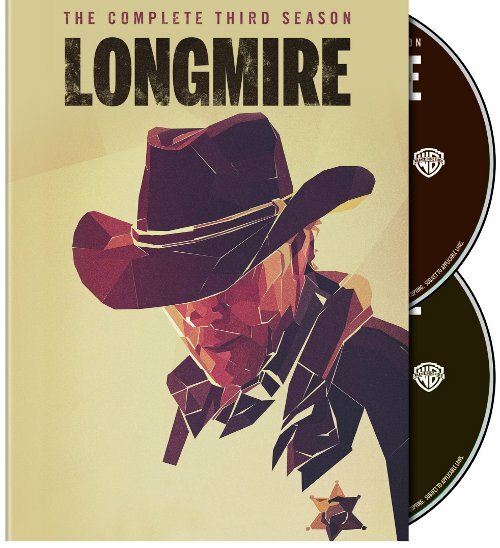 Longmire Season Three Blu-Ray Review - Are You Screening? Longmire is an absolute anomaly in the world of television, which could have something to do with the fact that it was pulled from A&E, despite consistently high ratings for the network. It’s also the reason that it was something of a no-brainer that it would be picked up by someone else, and season four will air on Netflix later in the year. 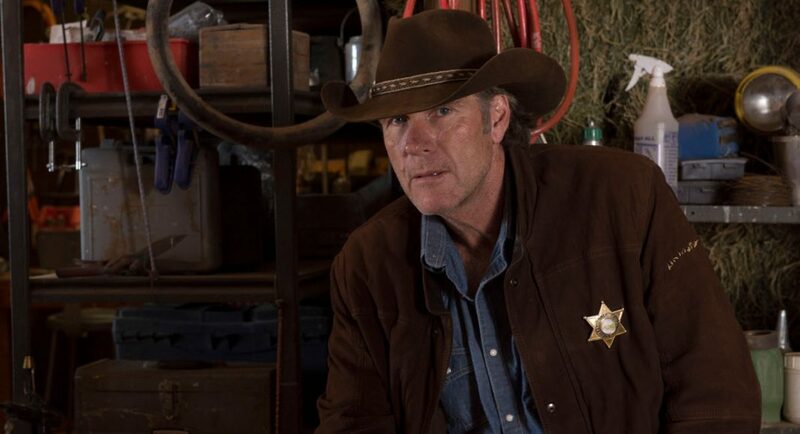 Where the first two seasons pulled us slowly into the depths of Sheriff Walt Longmire’s life on the sprawling plains of Wyoming, the third season is like the hammer blow that follows the slow, methodical wind-up. The second season ended by bringing a lot of forces to the fore in a move of plot construction that brilliantly weaves angles and conspiracies into a show that actually makes it difficult to look away. The third season spins this all together, but uses a mode of revelation that audiences aren’t accustomed to. As opposed to teasing things out monotonously, the show delivers real discoveries, which pull viewers along with Walt. By comparison, the last five episodes of the season would probably be spread out into at least two seasons of any other show. It all seems as though we’re running full sprint toward a close, but everything goes sideways at the very end (the last half of the last episode kind of very end), which throws everything you thought you knew out the window. Obviously, this led to an especially furious uproar over the show being canceled. While the third season has a lot of balls in the air, and is forced to kick off with Walt doing his best not to stumble about in a daze at everything that is going on, the show’s best sub-plot focuses on the transformation of Deputy Branch (Bailey Chase), which is handled better than any similar character deconstruction you’ve ever seen on television. Walt has to cope with Henry (Lou Diamond Phillips) potentially going to prison, Vic (Katee Sackhoff) having a stalker reappear, and the multi-faceted problems he faces with his daughter, Cady (Cassidy Freeman), but his victory in the Sheriff election over his own Deputy is something that doesn’t make for a lot of time to celebrate, as Branch is shot, apparently by a dead man. All this doesn’t even cover half of what’s going on in the show, and even then you still have to account for the routine running of the Sheriff’s office that Walt has to deal with. Longmire is a show that took some time to get viewers past the idea that it was just another cop show we didn’t really need, just with boots. With the third season, it has moved to the furthest, opposite reaches of that spectrum, and managed perhaps the highest level that a dramatic show with serious aims at moral conversations can. I don’t even know what that means exactly, except to say that it reminded of the experiences I had reading some of my favorite works of Shakespeare. Perhaps it is the gateway drug. Unfortunately, the release only includes one bonus, but it’s a good one. It isn’t surprising, I suppose, that this isn’t loaded with goodies, but it’s exactly the show you wish had a lot more to offer. The bonus you get is a featurette, The Ghost in the Storm. It’s a pretty brilliant effort, and has the executive producers of the show discussing a lot of the themes and hopes of the show. It’s a kind of “What do we hope people get out of the background issues?” and, “How can we possibly hope to actually get there?” roundtable, and fans of the show will love it. It should be obvious, that since they discuss everything going on in the show, you’d clearly have things spoiled if you watched this first.